All candidates get placed with reputed companies. Some of the well-known companies coming for campus placement are- IBM, Tech Mahindra, Infosys, Wipro, Patni Computers, ZS Associates, Amdocs, Tata Motors, Informatica etc. B.Tech in Electronic and Telecommunication Engineering. 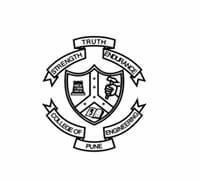 B.Tech in Instrumentation and Control Engineering.